Who won the Georgia governor race? It remained unclear hours after polls closed but Brian Kemp declared victory. ATLANTA -- The Georgia governor race between Republican Brian Kemp and Democrat Stacey Abrams was one of the most-closely watched gubernatorial contests in the 2018 midterm elections. As of Thursday, the race still hadn't been called.That hasn't stopped Kemp from proclaiming victory. Abrams has not conceded. 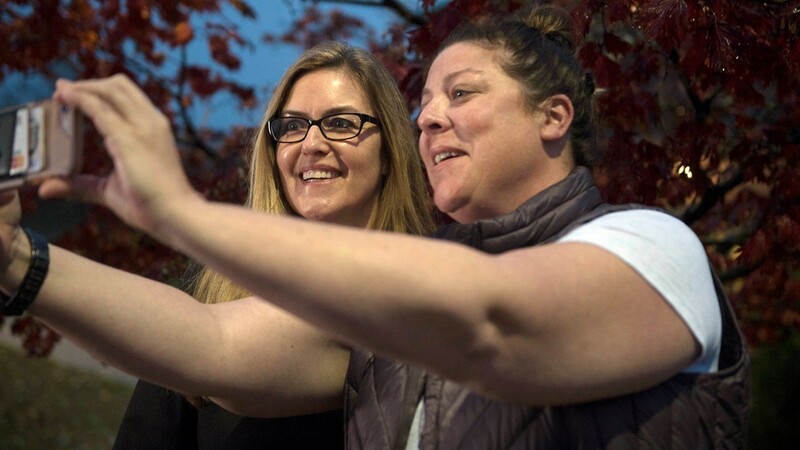 Her campaign chair promised to keep fighting "until every vote is counted." With 100 percent of counties reporting, Kemp has 50 percent of the votes and Abrams is not far behind with nearly 49 percent of the votes (Libertarian candidate Ted Metz had just under 1 percent votes). To look at the exact vote counts, The Secretary of State's Office shows Kemp with 1,972,952 votes and Abrams with 1,909,730. In Georgia, in order to be declared winner, a candidate must get more than half of all votes cast. Otherwise, a runoff must be held. ►RELATED: Did Georgia's amendments pass? Are there enough uncounted votes to get Abrams the votes she needs to force a runoff? It's not entirely clear, but she seemed to think so. 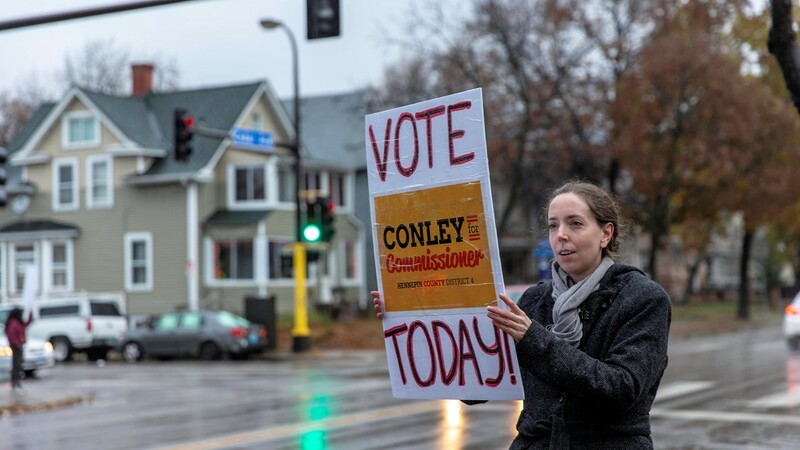 In an early morning speech, she talked about making sure that ever vote was counted. Early Wednesday evening Brian Kemp declared victory. Kemp's staff is saying that Democrat Stacey Abrams has no clear path to victory, and that Kemp should be considered governor-elect. The results are not official. President Donald Trump was confident enough in Kemp's victory that he called the Georgia GOP candidate to congratulate him on the win, according to White House spokesperson Sarah Sanders. 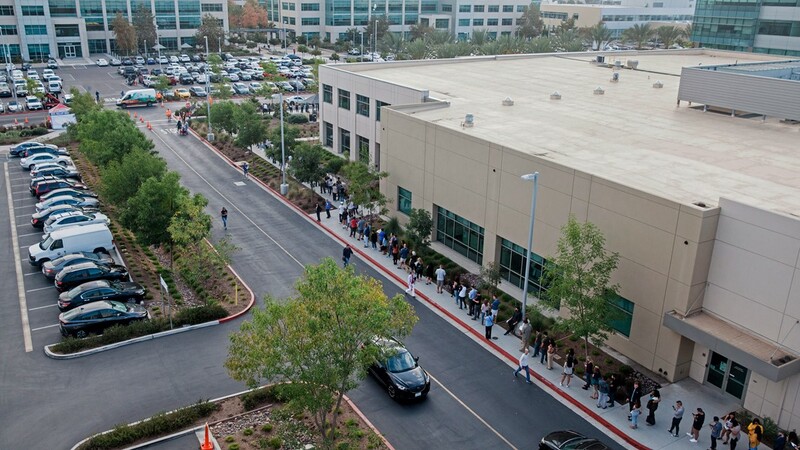 People wait in line to cast their ballot at a polling station on the San Diego Registrar's Office in San Diego, California, on November 6, 2018, on election day. 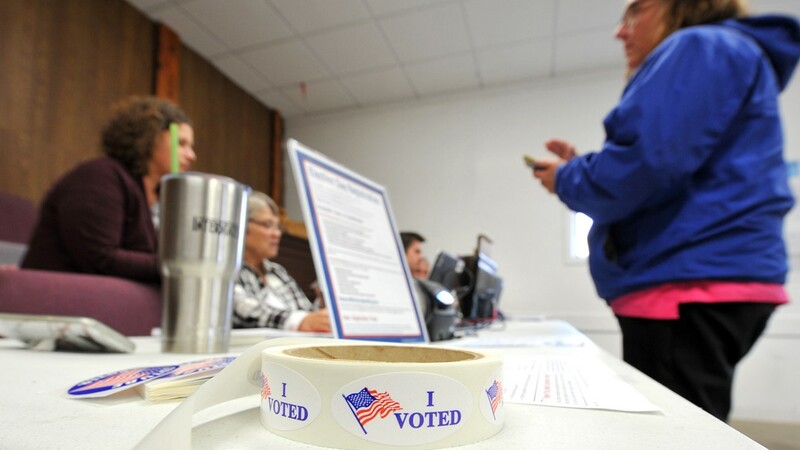 Voters head to the polls in Iowa's Madison County on November 6, 2018 in Truro, Iowa. Congressman David Young is in a tight race against Cindy Axne in Iowa's 3rd District. 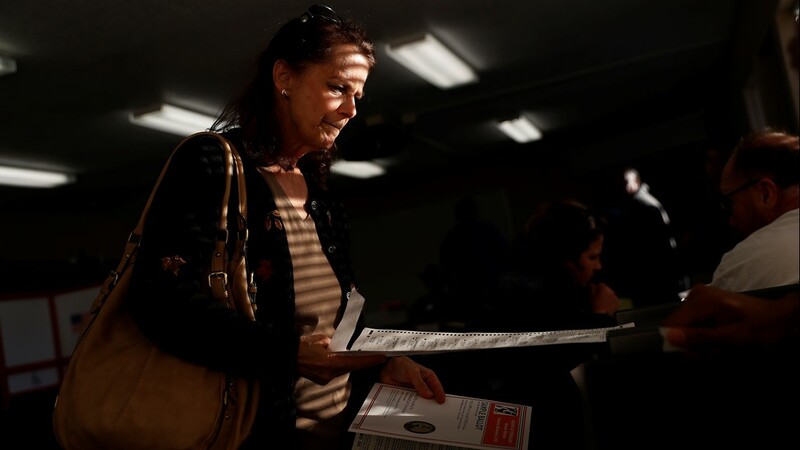 A voter casts her ballot at a polling place for California's 10th Congressional District at Modesto Covenant Church on November 6, 2018 in Modesto, California. 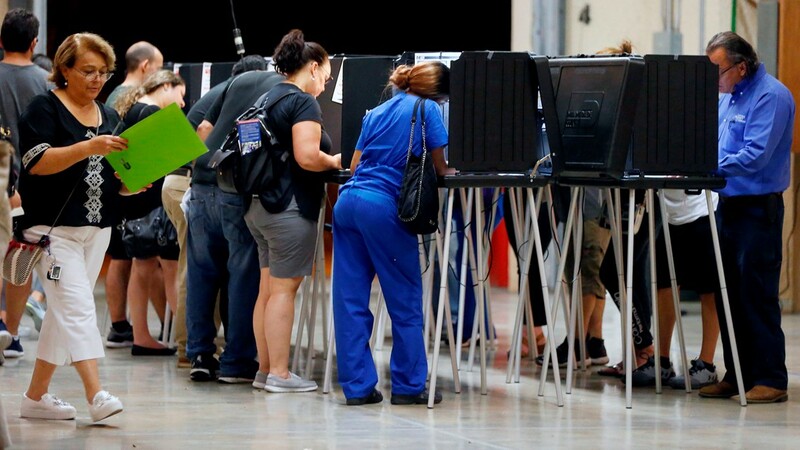 People vote at a polling station in Miami, Florida, late on November 6, 2018. 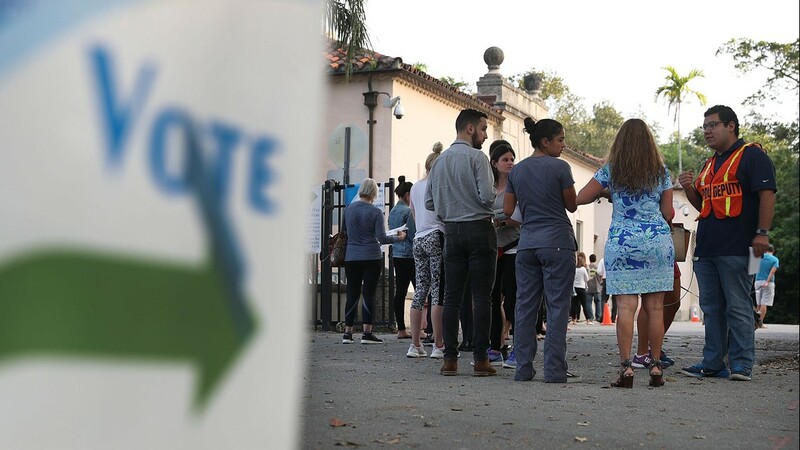 - Americans vote today in critical midterm elections that mark the first major voter test of Donald Trump's presidency, with control of Congress at stake. 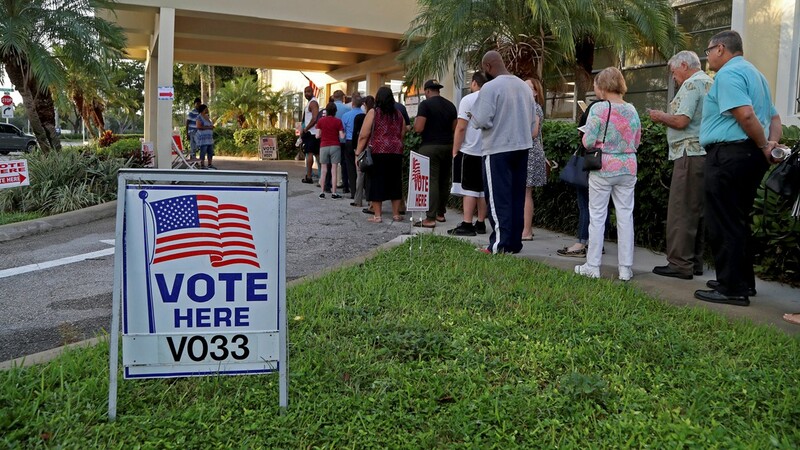 South Florida voters wait in line late in the day to cast their ballots at a busy polling center in Miami, Florida on November 6, 2018. 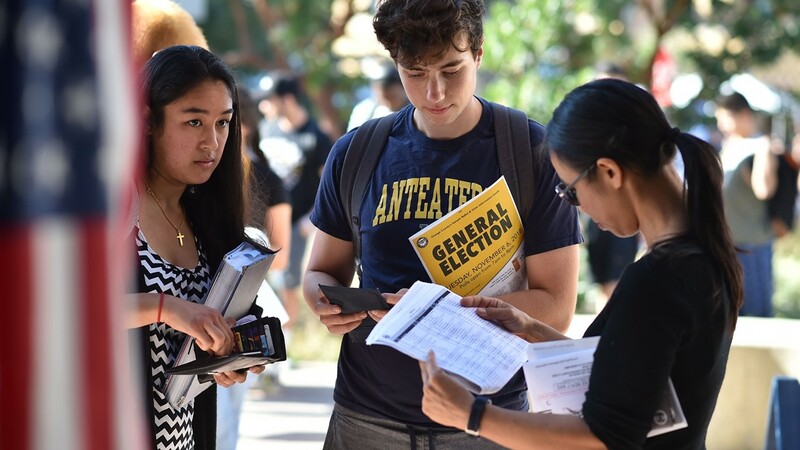 Students wait in line to cast their ballot at a polling station on the campus of the University of California, Irvine, on November 6, 2018 in Irvine, California on election day. 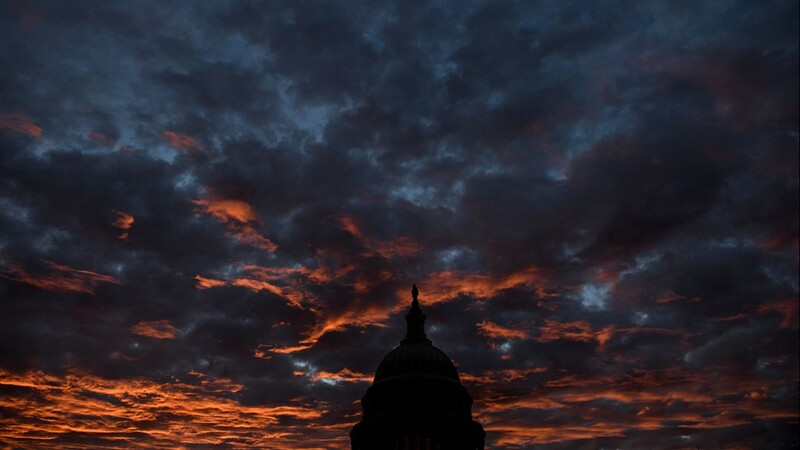 A view of Capitol Hill while voters across the United States participate in midterm elections November 6, 2018 in Washington, DC. 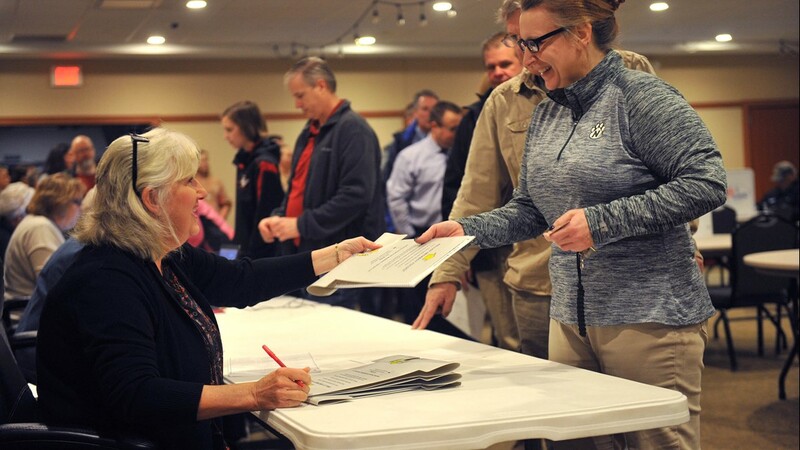 Some voters fill out their ballot as others wait for an open space at a booth on November 6, 2018 in Des Moines, Iowa. 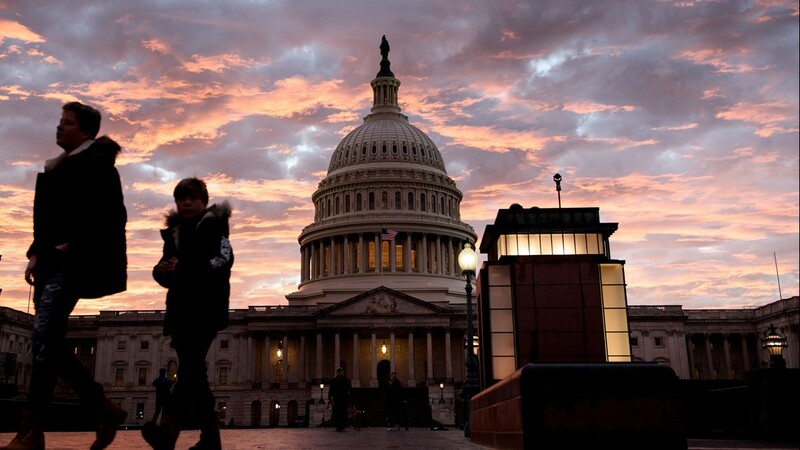 Today's election will determine if Republicans or Democrats will control the House of Representatives. 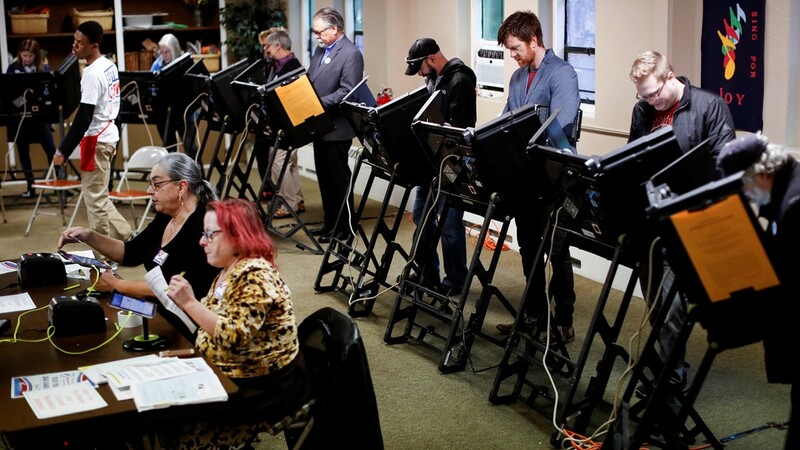 Voters fill out their ballot on November 6, 2018 in Des Moines, Iowa. 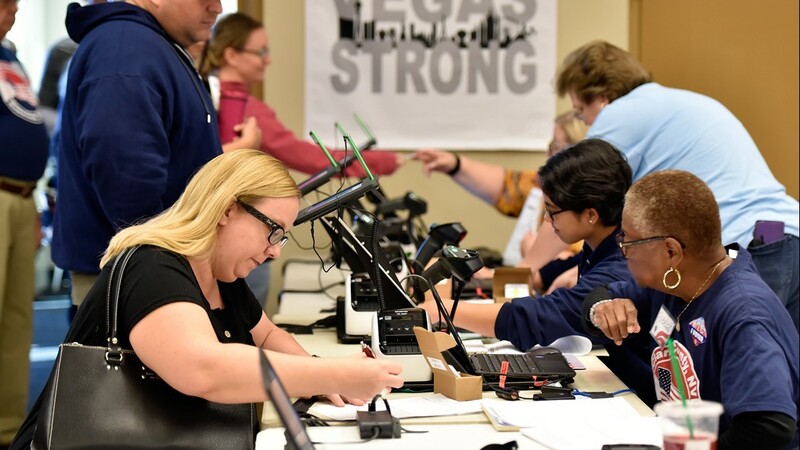 A woman signs in to vote at May Elementary School on November 6, 2018 in Las Vegas, Nevada. 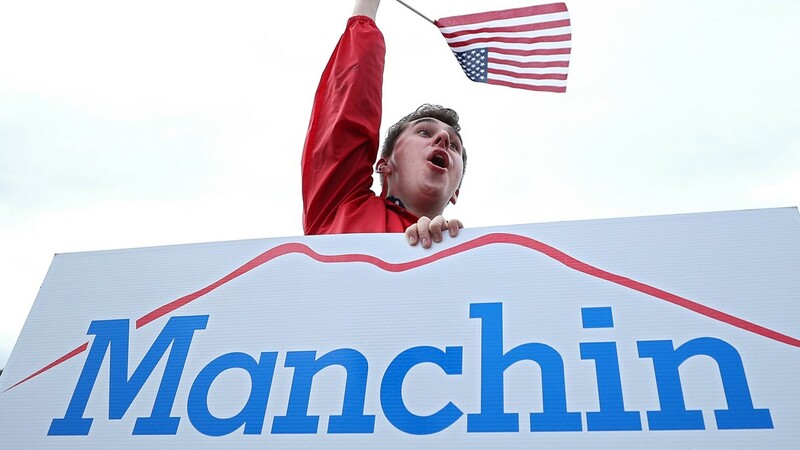 A supporter of Sen. Joe Manchin (D-WV) waves to motorists on November 6, 2018 in Charleston, West Virginia. 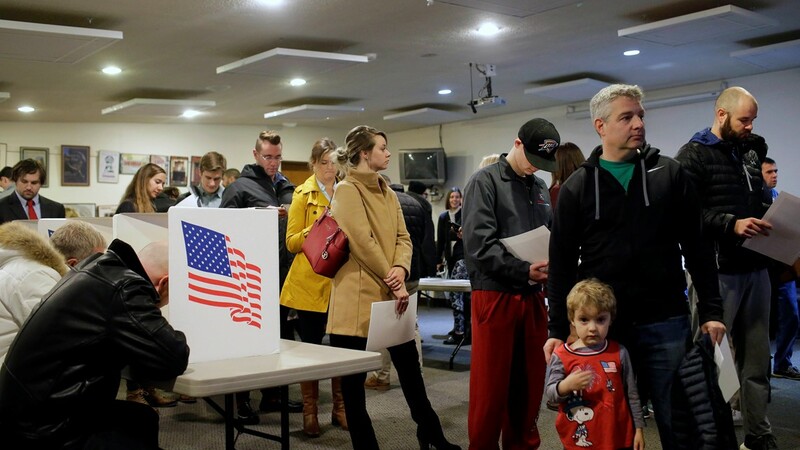 Voters line up to cast their votes at the Legion Hall in Van Meter, Iowa. 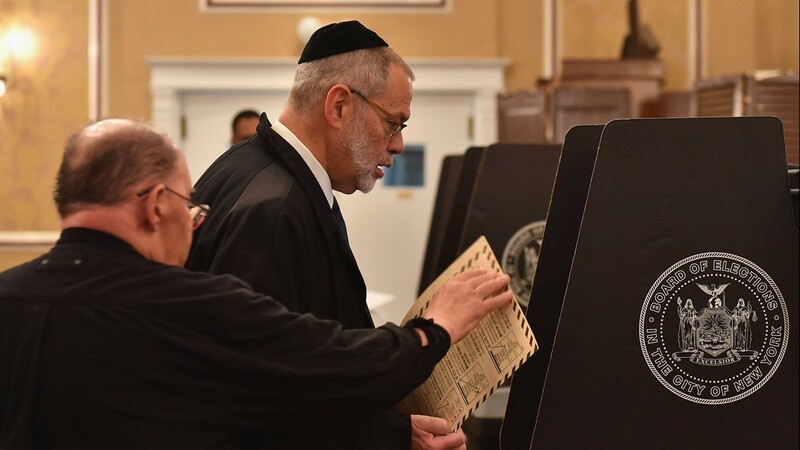 A voter of the Jewish community casts his ballot in the midterm election at the East Midwood Jewish Center polling station in the Brooklyn borough of New York City on November 6, 2018. 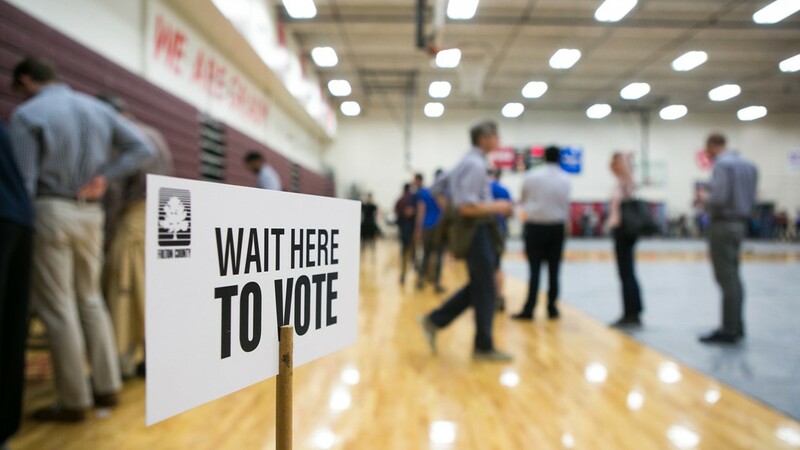 Voters line up to cast their ballots at a polling station set up at Grady High School for the mid-term elections on November 6, 2018 in Atlanta, Georgia. 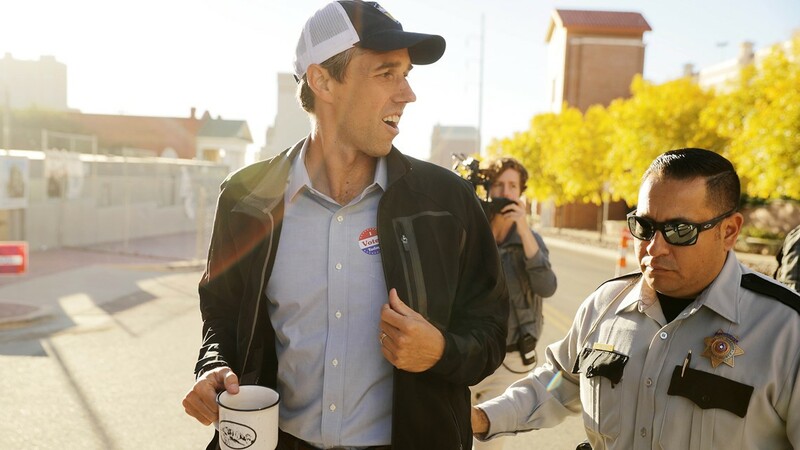 U.S. Senate candidate Rep. Beto O'Rourke (D-TX) is escorted by law enforcement after casting his ballot at El Paso Community College-Rio Grande Campus on Election Day November 06, 2018 in El Paso, Texas. 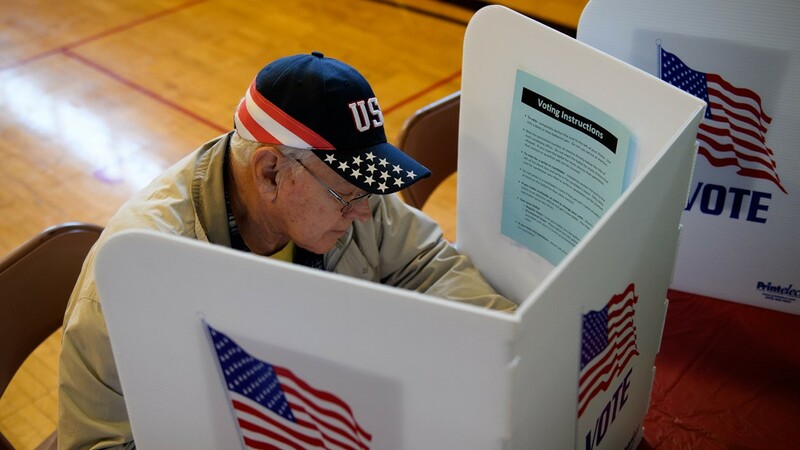 Phil Mondry, 75, casts his ballot at the Franklin Elementary School on November 6, 2018 in Kent, Ohio. 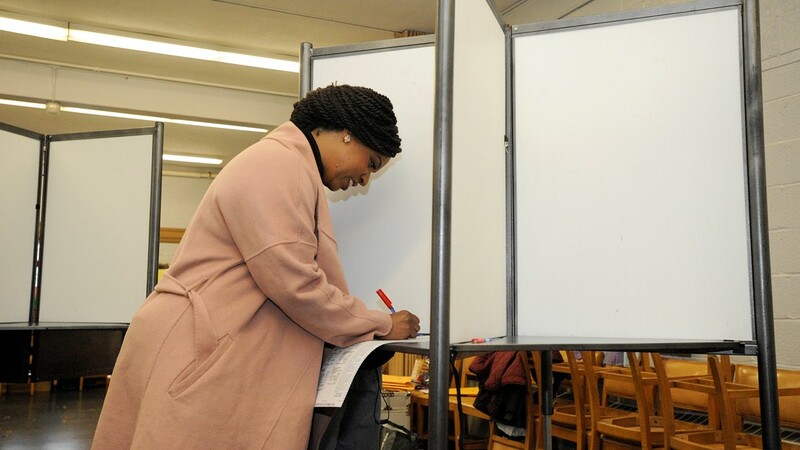 Congressional candidate Ayanna Pressley fills out her ballot the Adams Street Library in Boston, Massachusetts to vote on November 6, 2018. 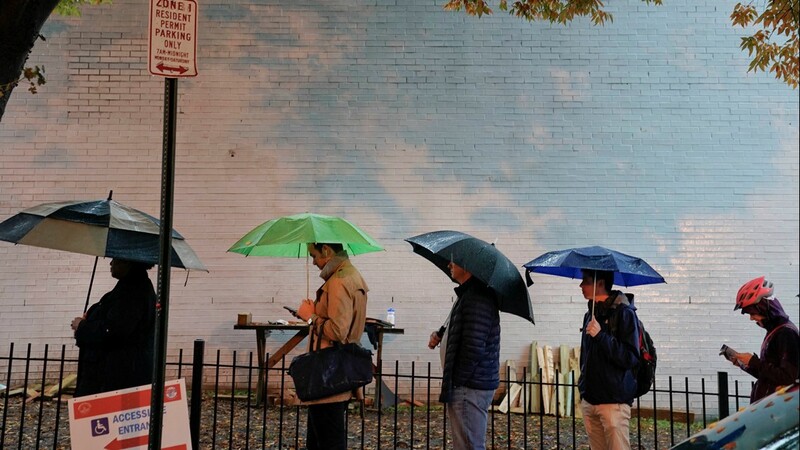 Voters line up in the rain outside Bright Family and Youth Center in the Columbia Heights neighborhood in Washington, Tuesday, Nov. 6, 2018. 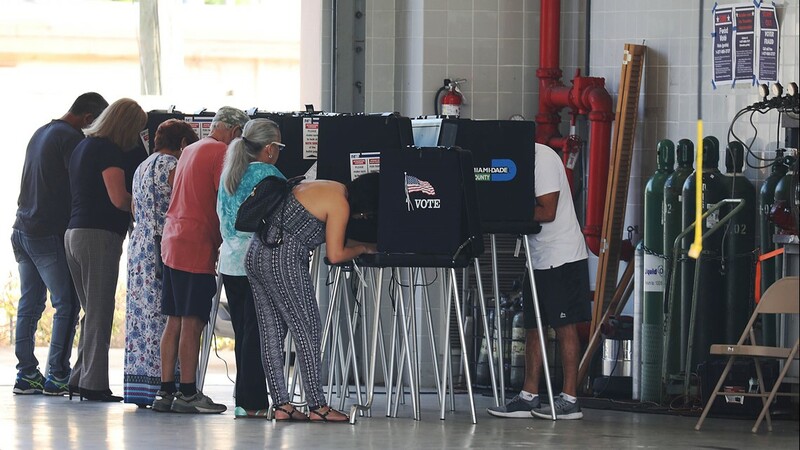 Voters line up as the polls open at David Park Community Center Tuesday, Nov. 6, 2018 in Hollywood, Fla. 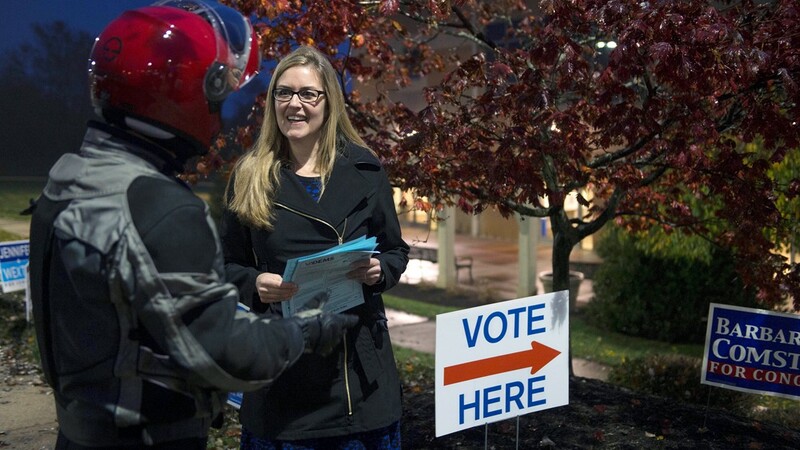 Voters cast their ballots at the Glen Echo Presbyterian Church polling location, Tuesday, Nov. 6, 2018, in Columbus, Ohio. 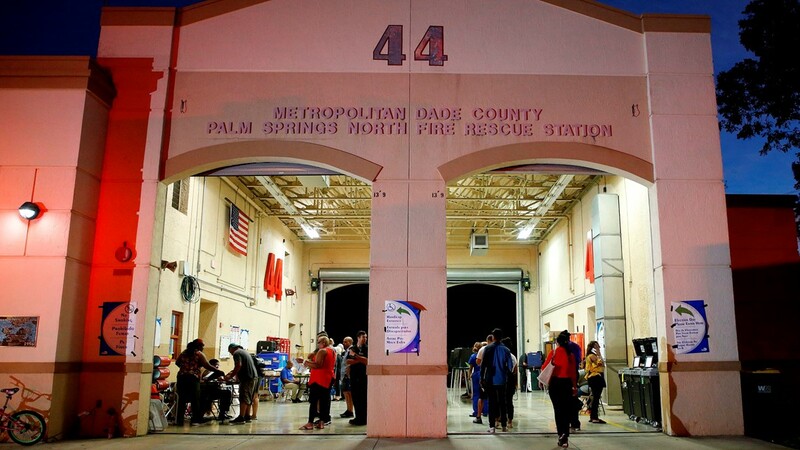 Voters cast their ballots at a polling station setup in a City of Hialeah Fire Station for the mid-term election on November 06, 2018 in Hialeah, United States. 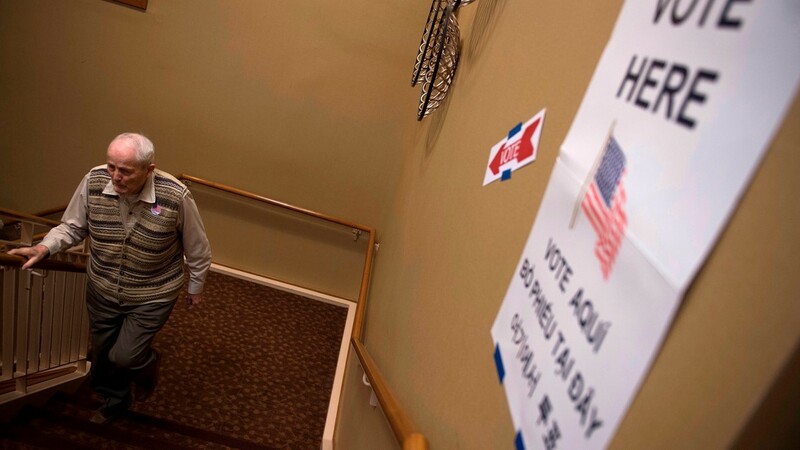 A retiree walks up stairs after voting at the Greenspring Retirement center during the mid-term election day in Fairfax, Virginia on November 6, 2018. 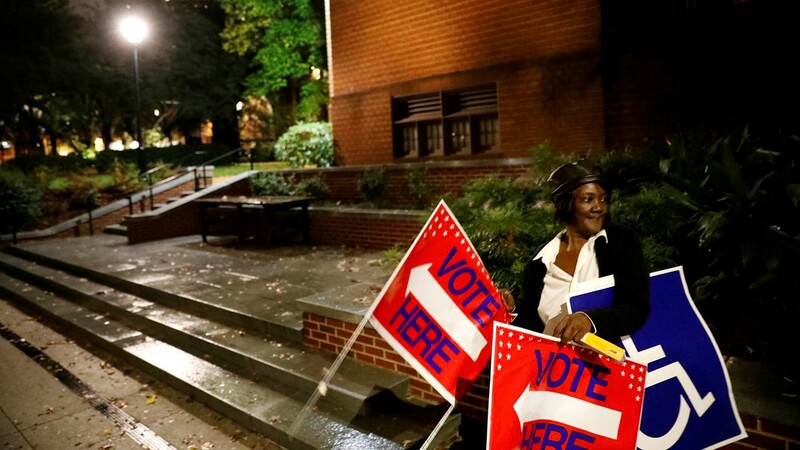 Poll worker Sarah Thomas places signs outside a precinct before polls open on election day in Atlanta, Tuesday, Nov. 6, 2018. 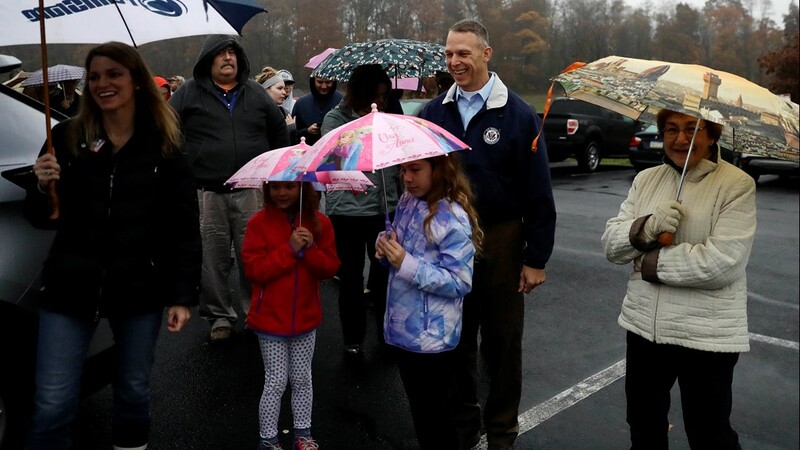 Rep. Scott Perry, R-Pa., second from right, candidate for Pennsylvania's 10th Congressional District, smiles as he waits in line to vote at the Carroll Township Municipal Building, Tuesday, Nov. 6, 2018, in Dillsburg, Pa.
Virginia Democratic congressional candidate Jennifer Wexton, a former prosecutor and current Democratic state senator, greets voters and poses for a selfie with Nicole Lee at Ida Lee Park on, Tuesday, Nov. 6, 2018 in Leesburg, Va.
Virginia Democratic congressional candidate Jennifer Wexton, a former prosecutor and current Democratic state senator, greets voters at Ida Lee Park on, Tuesday, Nov. 6, 2018 in Leesburg, Va. 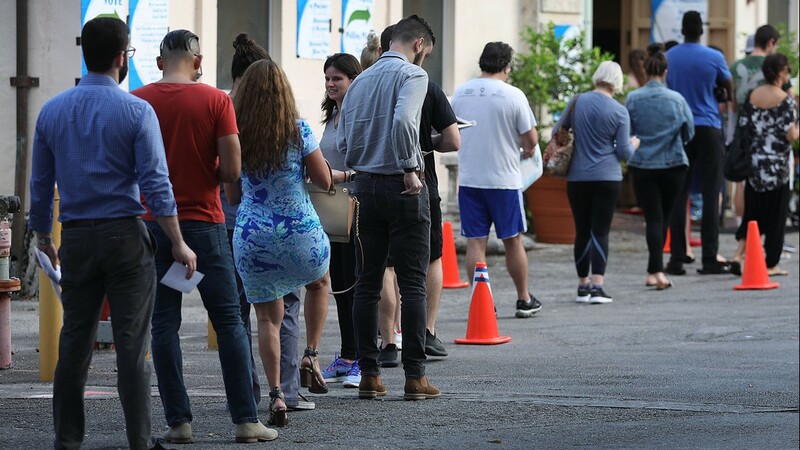 Voters line up to cast their ballot just before the polls open in the mid-term election on November 06, 2018 in Miami, United States. 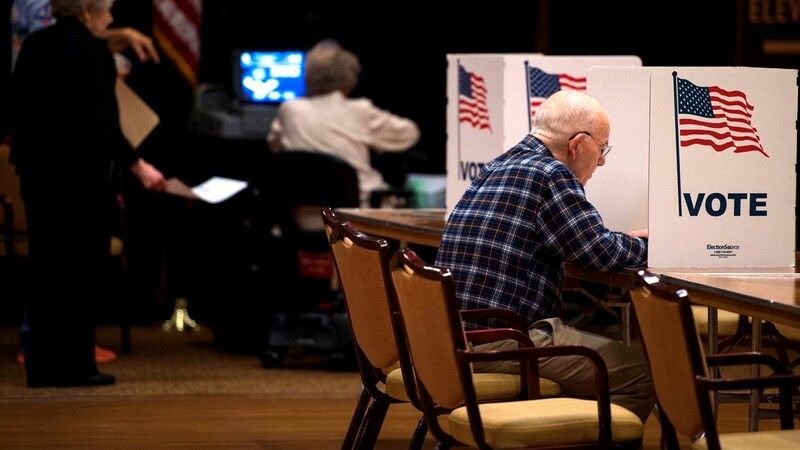 A man votes at the Greenspring Retirement center during the mid-term election day in Fairfax, Virginia on November 6, 2018. 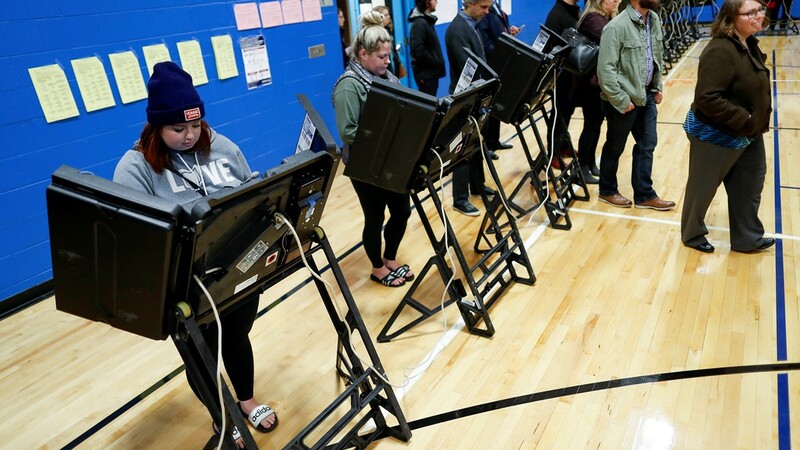 Voters cast their ballots at the Tuttle Park Recreation Center polling location, Tuesday, Nov. 6, 2018, in Columbus, Ohio. 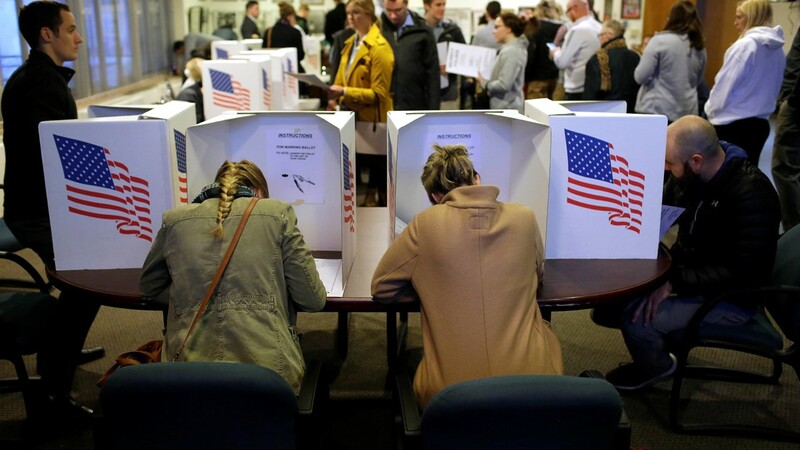 Voters prepare to cast their ballots at the Tuttle Park Recreation Center polling location, Tuesday, Nov. 6, 2018, in Columbus, Ohio. In the days leading up to the election, both sides received support from big names. President Donald Trump and Vice President Mike Pence both scheduled stops in Georgia to campaign for Kemp. Former President Barack Obama, Oprah, Will Ferrell were among those to show their support for Abrams in Georgia. Abrams is seeking to become the first African American female governor in the history of the United States. ►RELATED: Abrams, Kemp trot out big names for last-minute campaign rallies - but does it actually work? The candidates only took part in one live televised debate before the election; a second debate was canceled after President Trump's appearance conflicted with the schedule. 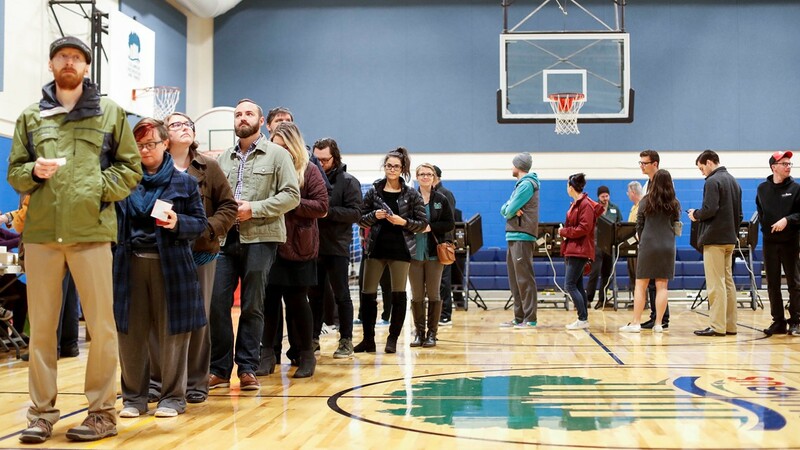 A record number of early voters -- more than 1.5 million -- turned out before the election. MORE GEORGIA ELECTION INFO: What are the Georgia amendments on the 2018 ballot?